Words of Life History | True Church of God in Christ, Inc. In 1996, Minister Gregory Adams, Sr. was led to Carrollton, Georgia to start a ministry at the Carrollton Community Center on White Street. While at the Community Center, Pastor Adams began a radio broadcast on WLBB 1100AM that covered parts of Villa Rica and Alabama. 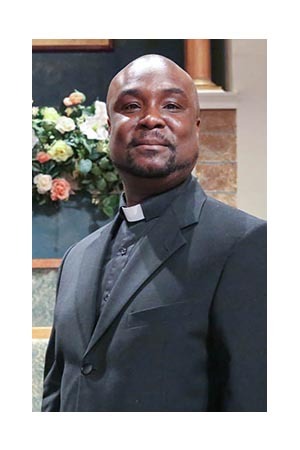 Deacon and Mother Joe Harper of Douglasville, Georgia would visit Minister Adams and express their interest in the gospel of Christ being brought to their city. After presenting this request to Bishop B. J. Lawson in 1998, the members that were in Carrollton united with the people in Douglasville to become the Douglasville True Church of God in Christ. The Douglasville True Church initially worshipped in a building on Malone Street, but Pastor Adams and Minister Isiah Boyd, Sr. found a facility on Forrest Avenue that was already occupied by Elder Clinton Smith, Sr. of the Bible Way Movement. Elder Smith was renting his church with the option to buy, so he and Pastor Adams deliberated on a way for the two churches to share the building. Elder Smith’s church was called Deliverance Temple Bible Way. As Elder Smith sat and listened to the gospel, he saw that Elder Adams and the True Church movement was preaching the true gospel and decided to unite with the True Church movement. He received the baptism in the name of Jesus Christ and Pastor Adams taught him and his family the doctrine which was spoken by the Apostles. As the years progressed, Elder Smith took ill and without notice the owners of the church building decided to rent their building to another group of people meaning 2 churches were worshiping in the same building. There were times when Douglasville Church would have service and a group of people started showing up looking confused. Pastor Adams decided to ask the group, which was of the Arabian race, what was going on. They responded that they had bought the church. The owners failed to inform us. Once again, the Douglasville True Church had to find another location of worship. In December 2001, Elder Adams then sought the help of Brother Shedrick Pullin. He found a location on Wendell Court in Atlanta off Fulton Industrial Boulevard. 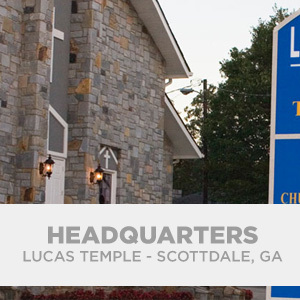 Because of the relocation to Atlanta, the church had to be renamed. Therefore, Elder Adams spoke with Bishop Lawson. 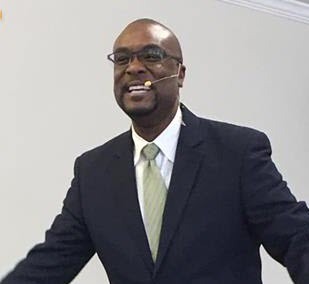 Out of respect for Elder Clinton Smith’s request, who died in 2001, Bishop agreed to the name Deliverance Temple True Church of God in Christ, Inc.
Elder Adams trusted and depended on the Lord, constantly looking for a more suitable place to worship. There were times when he would get out of church and ride around trying to find a larger place because he felt like more people were coming to worship. Brother Shedrick was still on the job. For two General Assemblies Pastor told the congregation that he wanted to have a place by next fiscal year. In July 2005 Elder Adams persistently conveyed to Brother Pullin that he would like for him to find Deliverance Temple a larger building. July 2005 Brother Shedrick pulled up a church on the internet that was on the market for 1 year and was under contract twice but failed through. He presented it to Elder Adams. Pastor Adams was interested and decided to involve Bishop Lawson and Elder Jeffries for approval. Bishop told Elder Adams that he could obtain the church on 1970 Alabama Rd. September 28, 2005 Deliverance Temple bought the property and is presently praising and thanking God for his blessings. Many visitors come to worship and many is to come. On January 3, 2016, Minister Stacy Boyd was appointed the pastor with Minister Barry Miller assisting. Elder Boyd along with the True Church movement, under the present leadership of Bishop Oprie Jeffries are going forward with the continued effort of saving souls in these last and evil days.